I have just finished posting my latest watercolor painting demonstration. 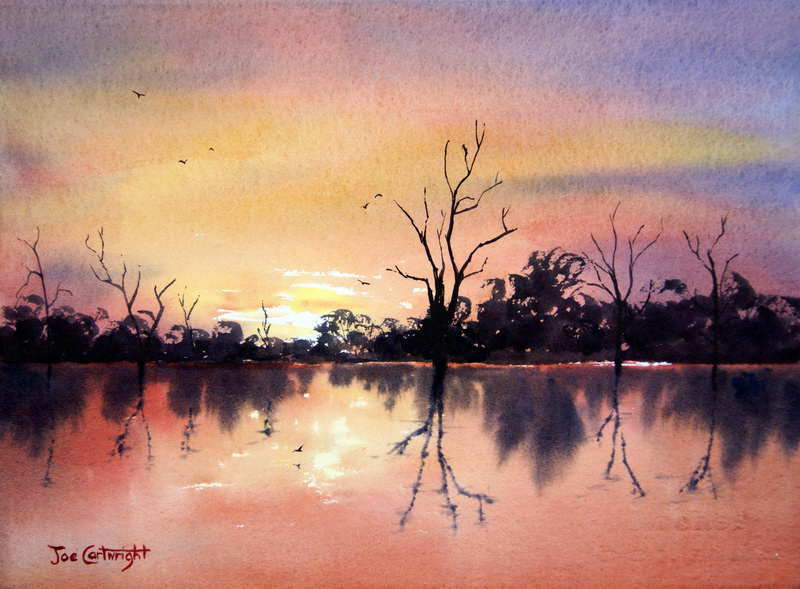 This one is of Lake Bonney in South Australia. You can view the complete demo at this link: Lake Bonney watecolor painting demonstration. You can see the finished watercolor painting below.